This project has made me obsessed with planning my outfits! I scour pinterest and obsess about why every outfit includes a white t-shirt. I also think of what I have in my closet that matches the ideas on pinterest, which is pretty fun! 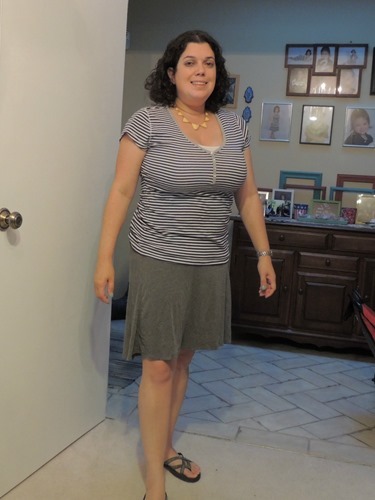 September 9 – I layered a printed tank under a white t-shirt. You can sort of see it. 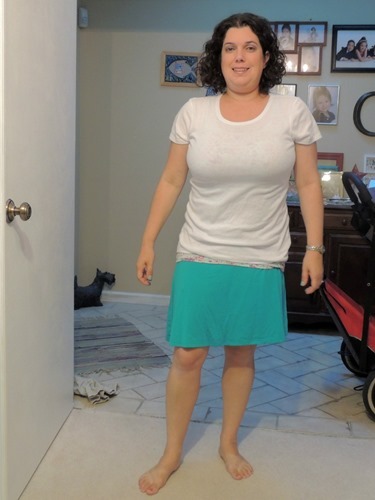 September 11 – I found this grey skirt in my closet. 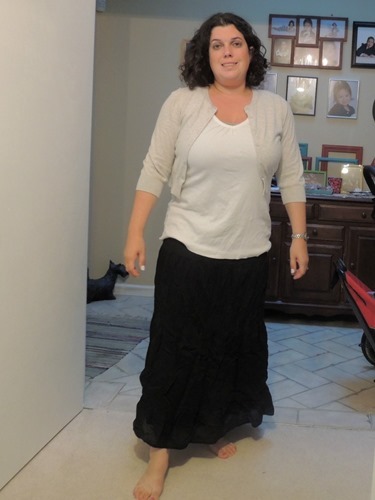 September 13 – This is my Yom Kippur outfit. I added a scarf after I took the picture, which was a good thing, because it was freezing in the synagogue! I kept thinking a belt would work with this outfit, but I don’t have one. More outfits to come next week! Are you looking for that perfect piece of furniture that can make a bold statement? If you are, be sure to check out Palu! Detailed, distinct and effortlessly classic, the Palu furnishing line embraces quality materials, fine craftsmanship and singular design for pieces that truly stand the test of time. Including chairs, beds, dressers and more featuring anything from natural wood to textured materials, the versatile collection is equally as elegant and refined as it is modern and approachable. Plus, now through October 15th, Zinc Door is offering 15% off Palu with promo code PALU15. Don’t miss your chance to save on this fabulous collection today!